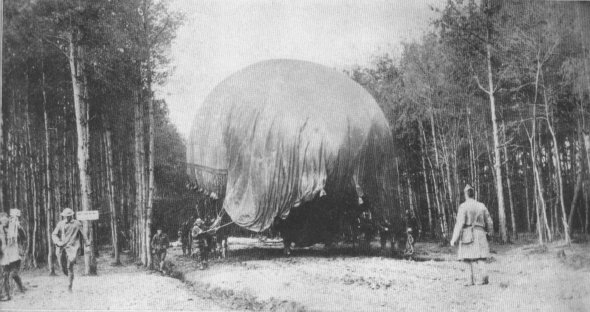 READY TO SOARAn observation balloon being taken from its camouflaged home in a wood in France. These balloons were carefully guarded, as a shot was likely to explode the gas and set them on fire, causing a loss of thousands of dollars. 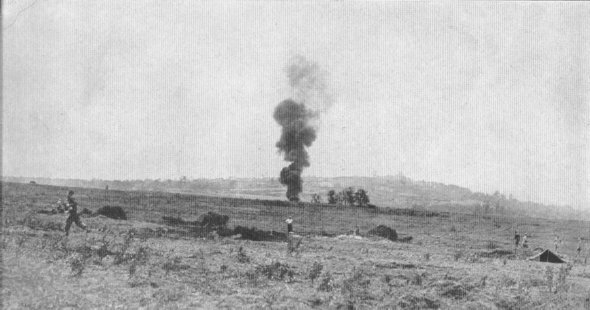 A FLAMING METEORBalloon of the 6th Balloon Company down in flames on the road between Cuisy and Montfaucon, Meuse, Oct. 3, 1918. The American observers took to their parachutes and landed safely. Balloon service lost 45 balloons in the war.